Do Your Grandparents Need Junk Removal In Palm Beach? If your grandparents are still around, then you should count yourself lucky. These are the folks who have probably spoiled you for your entire life! That is their number one job, after all. As they get older, they can still maintain an active lifestyle but that doesn’t mean they won’t need the occasional helping hand. If your grandparents need help with junk removal, then turn that task over to the pros from Junk King. They’ll get the job done right and you get to score all the points! Handling a junk removal job is easy with Junk King. One call puts the plan into action. Junk King will ask if the job is big or small. The small job could probably be handled by the standard two-man Junk King crew. This is the team who can load up furniture, appliances, clothing and other household goods in the blink of an eye. On the other hand, if you’re in charge of an extreme cleanup, then Junk King can dispatch additional members. The goal is the same: Get all the junk removed in a single appointment. Whether that takes two movers or ten, Junk King will have you covered. You’ll want to make sure you and your grandparents have settled on just what needs to be removed. Although there won’t be many limits to what can be taken away, you don’t want to keep the Junk King crew idling while sorting through boxes. The good thing to remember is that the Junk King team is going to do all the work. That means nothing has to be brought down from upstairs or up from the basement. Just leave it all where it’s at and Junk King will take it from there. 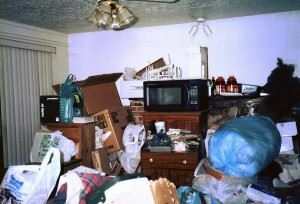 Before the work starts, the Junk King crew will present you with a fee based on an estimate of space. That would be how much space your junk needs to fill up on the back of the truck. It could be a third, half or the full truck .Once you agree to the number, the Junk King crew will get busy. As a final service, they’ll even sweep up after themselves. Whether you hire Junk King for your own junk removal or for a loved one, you can depend on the job getting done right. This entry was posted in Junk Removal Palm Beach and tagged Junk King, junk removal on August 31, 2015 by Dave Archer. Last updated July 31, 2017 .